Packaging design, end to end solutions. Highcon delivers innovation and differentiation that converters, printers, and brand owners all need, transforming “finishing” into a value adding process to positively impact users’ profitability by increasing speed to market, eliminating costly production steps and reducing carbon footprint. The Highcon Euclid is the first fully digital cutting and creasing machine for converting paper, labels, folding carton and microflute. The Euclid incorporates Highcon’s patented ‘DART’ (Digital Adhesive Rule Technology) to produce creases, and high-speed laser optics to for cutting and etching. The Euclid transforms cutting and creasing from an analogue to a digital workflow, dramatically streamlining the finishing process. 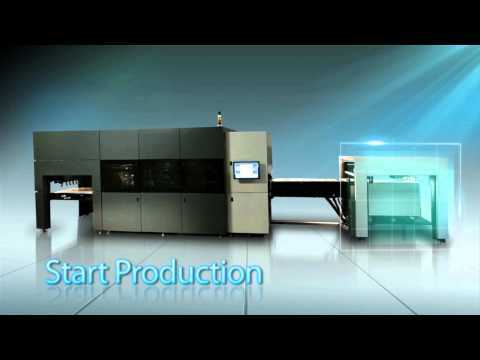 Highcon digital finishing removes the design limitations of conventional dies, while simultaneously enabling faster turnaround, lower costs, wider applications, shorter run lengths and reduced carbon footprint. Now printers and convertors can better serve their customers profitably and brand owners can bring more innovative packaging designs to the shelves more rapidly. Highcon no tiene ninguna noticia disponible.